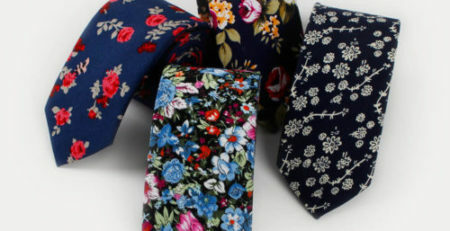 Skinny ties are in. There is no doubting that. What was once popular in the 1960s before being overcome by another trend–the thick, wide tie–is now coming back into fashion as most styles do. Get all of that vintage appeal of a skinny tie, but add in a bit of modern flair at the same time. How, you ask? Read on for more. Skinny knitted ties are the answer to your question. Longing to add a contemporary twist to a classic look? Go for a knitted skinny tie. Skinny ties are already highly versatile; they can be worn with just about anything and are exceptionally trendy. By adding in the knitted effect, you are fusing the futuristic with the days of old effortlessly and without sacrificing your sophistication. Don’t be afraid to bring in some vintage flair to your casual look! You will appear dashing and well-styled when you wear a skinny knit tie properly, and those who are in the know will appreciate your knowledge on the use of one of the most under appreciated ties around.